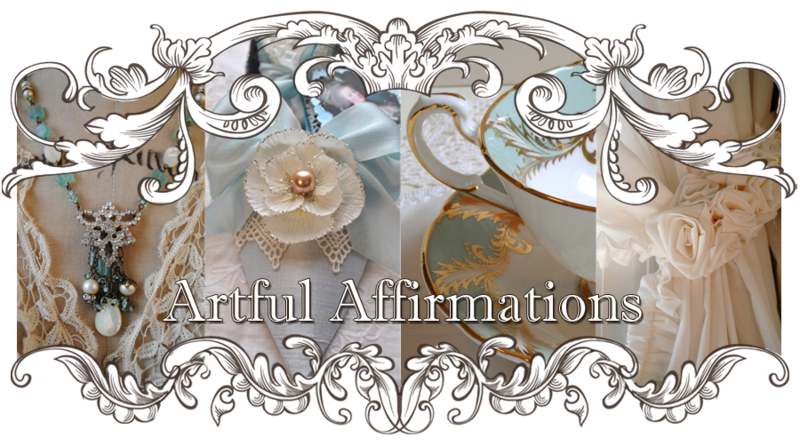 Artful Affirmations: Tea Cup Tuesday Easter Swap! 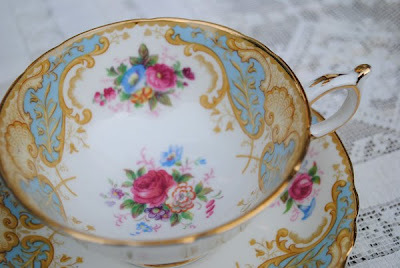 Today I am sharing two beautiful cups that I received in tea cup swaps! Last week I shared the cup I received from dear sweet Martha (my partner in Tea Cup Tuesday) as well as the baskets and goodies I was lucky to receive from her and Sylvia. During the week I posted what was in the blue wrapping paper from Terri (see that post here). This first cup was a swap gift from Terri G at Terri Gordon Designs. I asked for a cup Marie Antoinette would love, and she really took that to heart as you can see from the photo above. Isn't it gorgeous??? It sports an elegant loop handle with a slight spur. The cup is generously shaped and the insides is decorated beautifully! I adore the pinks and the blues! I love the spray of roses in the bottom. The handle and as well as the edges of this cup are trimmed in gold. 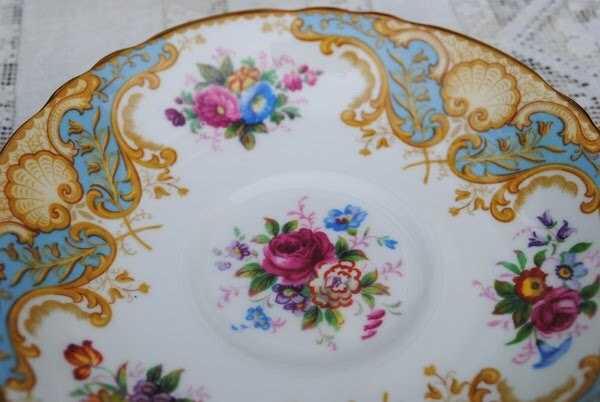 The plate is beautifully detailed with flowers and scroll work, even a shell design! Terri, Thank you so very much for gracing me with this beautiful cup! I was so thrilled to see it in all it's splendor! She sent me such a lovely basket of goodies, as I showed in my last post. I was so thrilled to open the large basket she sent filled with lovely gifts! Today I am sharing the spoons she sent me as well. This cup is simply lovely! The color is a pale peach, not too often seen. 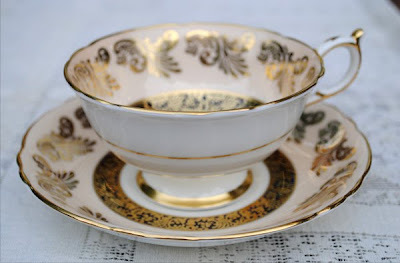 I love the gold trim, and especially the ring of gold and black....very dramatic on a simply beautiful cup! The bottom of the cup has a pretty poesy in it! I love the gold design around the plate and inside the rim of the cup. 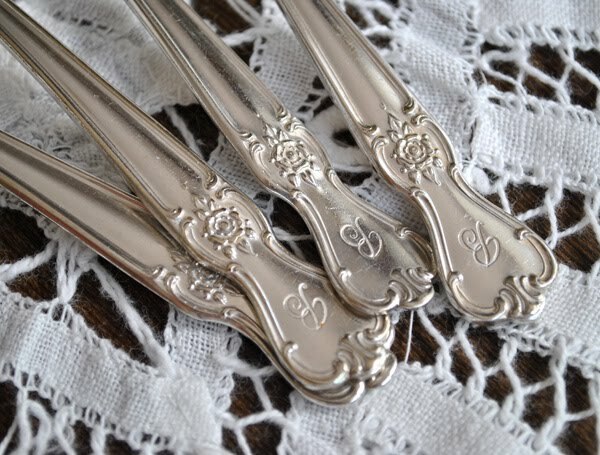 She also blessed me with a set of silver spoon, engraved with a B....and I choose to say they stand for BEAUTY! They are really lovely spoons and I am enjoying using them with my tea. Thank you so much Sylvia! I love this cup, the spoons and all you sent! Both of the cups above are Paragon cups,a fine china company, and one I love to collect because of their quality, and the shapes and beautiful patterns they have. 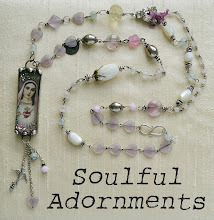 I have been thinking about the friendship forged here in blogland...and since participating in these swaps and others, I am truly amazed at the generosity of those I have been blessed to interact with online. The kindness is so heartwarming! My only sorrow is that I am only able to visit about 20 blogs a day, and since I have over 900 followers and many, many other blogs I follow, it seems a mere drop in the bucket! If I could, I would visit each and everyone of you! You are all so special, so creative, and so caring! 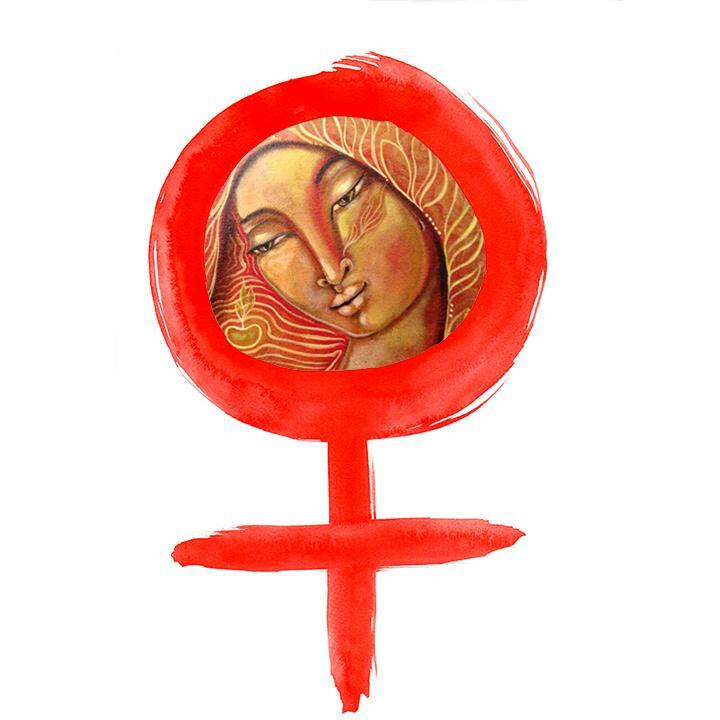 What an amazing world blogland can be! Just know I appreciate all of you. I appreciate these lovely cups given with a loving thought! I am excited to use them, and I will treasure them! 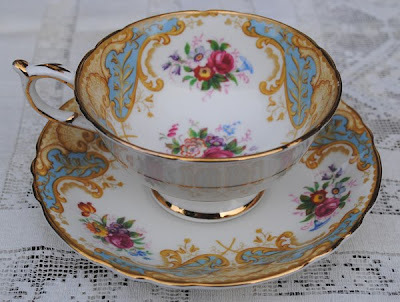 If you would like to play along for Tea Cup Tuesday, go and create a post with a tea cup you would like to share. Tell us about the cup, about how you got it, about who made it, anything like that. 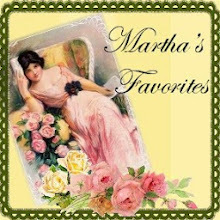 Martha and I love coming to see your lovely tea cups! After you have created your post, please come back here and link up with Mr. Linky by filling in the blanks below. Check your link out to make sure it works. 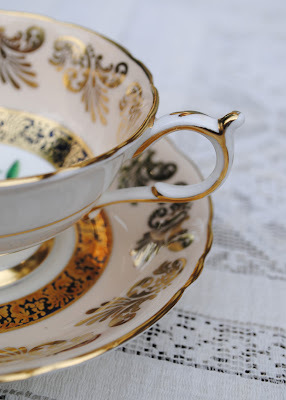 Please, if you do not have a tea cup in your post, do not link up. Thank you so much! Your cups are beautiful! What nice gifts. I drool over all the teacups you guys show off. Thanks for having us. Beautiful cups! Thanks for sharing. 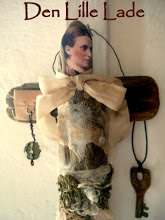 I am also amazed by the friends you meet in blogland, isn't it wonderful! 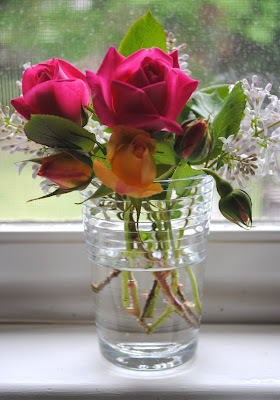 Such a lovely post and thank you for showing us such beautiful cups! Beautiful cups - and thanks for hosting such a great "tea party"! 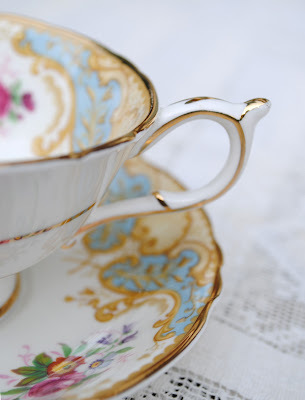 Both teacups are so beautiful, especially the first teacup & saucer. You are so right about the blog friendships forged on-line. 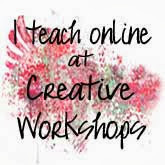 I have been blessed by so many bloggers in so many ways and am thankful for the opportunity to connect with others this way. Teacup Tuesdays has been a real highlight for me and my grandchildren too, thank-you. 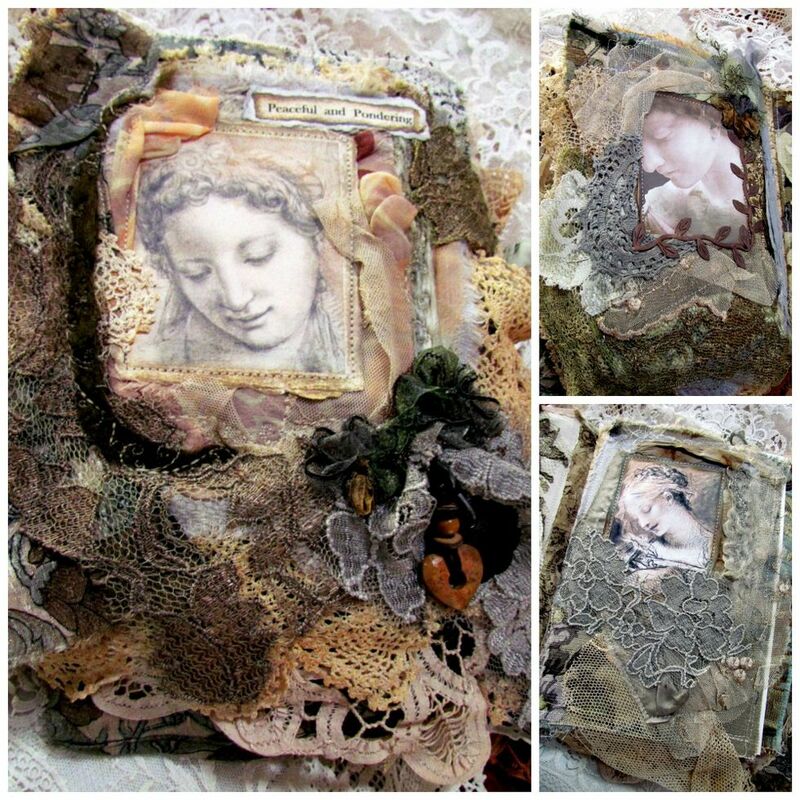 Hi Terri...woah...how gorgeous..they are all gorgeous..i am in love with the first on..how id love to have that one..it is incredibly beautiful! I am trhilled you are njoeyd your wonderful swap..such fun! Beautiful photos! yes..blogland is amazing..and yes it can be hard to visit everyone..but what a joy to meet so many lovely souls! Have a wonderful day...thanks for another beautiful post! Such pretty tea cups...eye candy for sure! What a gorgeous bunch of teacups! Thank you for sharing those beauties! I absolutely agree, Iit is a real problem, that the time not allow us, to visit every blog, we want. There are so many beautiful made and interesting post online. I try to visit at least everybody, who leaves a comment. What beautiful swap you made, both of the cups are very charming. Marie Antoinette would be very pleased to own such a nice cup. The second one is very interesting, too and nicely decorated. Thank you for hosting this wonderful event, I always enjoy to visit you. Your cups are just beautiful! I'm really intrigued by the second one as it is such a delicate shade of peach! Such wonderful cups to add to your collection. Thank you for sharing them with us and have a wonderful day. Terri, what lovely cups/saucers. My favorite is "Marie Antoinette's favorite"; the colors are so very attractive, not to mention the lovely flowers and scrolls. The spoons are a delight, and I like your "B" interpretation. Terri that is one gorgeous cup! So perfect for Marie and fit for a beautiful and sweet queen like you. 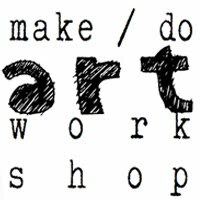 I am so excited to participate again this week. Lovely teacups! What else can a woman ask for! Have a lovely cuppa! So glad you shared them! How gorgeous are your tea cups! And all thanks to friendship in blogland!!! Congratulations and thank you for sharing these beauties. 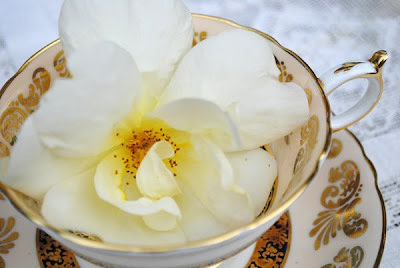 What exquisite teacups you recieved for your delightful Easter Teacup swap.., Just gorgeous beyond! The colours and motifs are exceptionally lovely! Thanks so much for your visit and kind words of encourgement also; we are all delighted as well, that Pam is much improved. What beauties! No wonder you are pleased. Hi Terri, thanks for visiting me today. Your teacups are stunning! I love them. You will get such enjoyment from them. 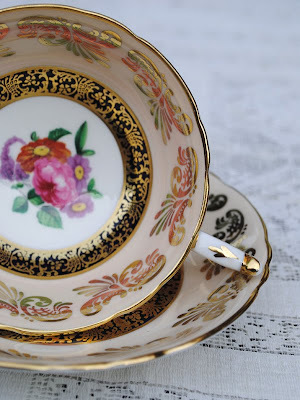 You asked about the teacup on my blog. 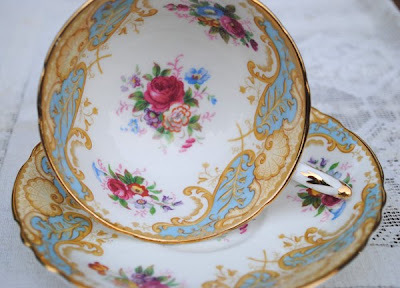 The pattern is Spode's Billingsley Rose. The teacup is embossed but not as deeply as the saucer. It's a very pretty pattern and one of my favorites. Those cups are beautiful, lucky you to be gifted them. Your roses are lovely too and would brighten up any room. Those are beautiful teacups! Thanks for hosting Teacup Tuesday! How fun! You are turning me into a tea cup craver. I think I mentioned that I had told my mil that I was loving china cup and she told me that she had a lot I would inherit. Well, it was kind of a sad thought...both in that I love her as a mother but also that I can't start collecting and I know she will probably live to be 100! Truly! I may just have to start treating myself a lot more. I have one that is Chinese, nothing special, but I love the rose and turquoise together. Thanks for sharing such beauty! It is so much fun. P.S. I did find lots of goodies in my sewing room organizing and cleaning. OOOH! Terri!! These tea cups are so romantic! I love them. 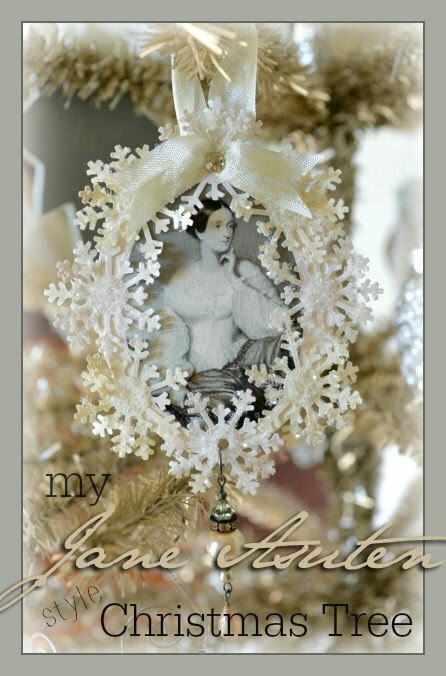 I love seeing all your pictures pop up on my blog list. Like the flowers in the cone on the previous post or these pretty cups. They set me off into a whirlwind of ideas for new projects. Just wanted you to know how much I appreciate your posts. That first tea cup is just breath taking!! Well, actually everything is beautiful! And I think you are doing good if you can visit 20 blogs a day........way more than I can, for sure. 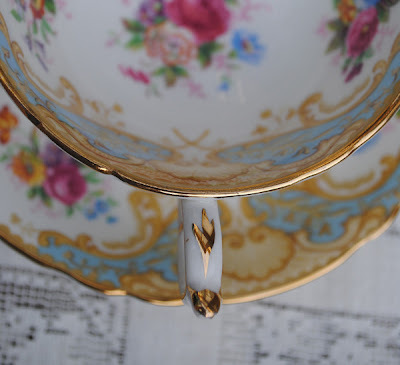 Your teacups are just stunning, Terri! So beautiful . . . 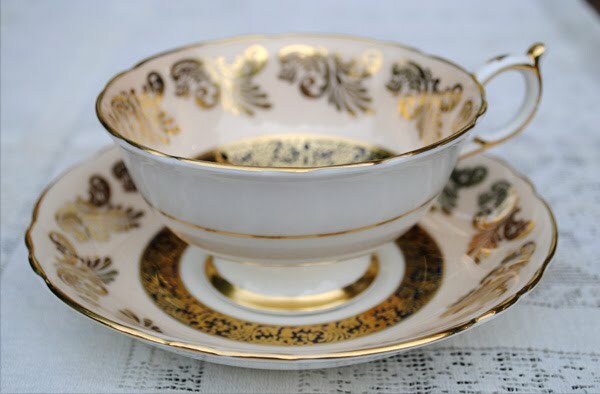 Yet another lovely tea cup you share with us. So very pretty.